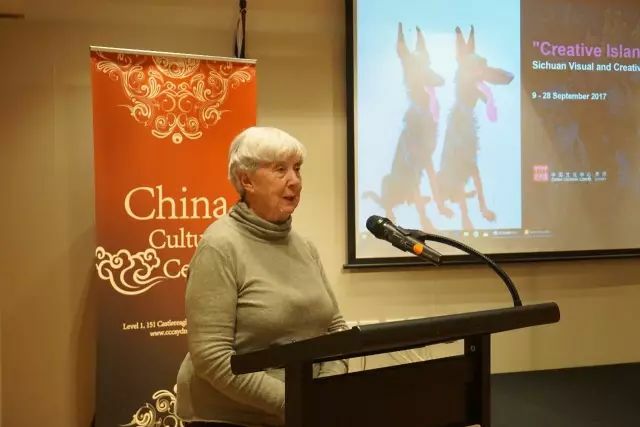 Professor Jocelyn Chey, Director of the Australia-China Institute for Arts and Culture, gave a speech to mark the launch of "Creative Island: Sichuan Visual and Creative Art" at the China Cultural Centre, Sydney. 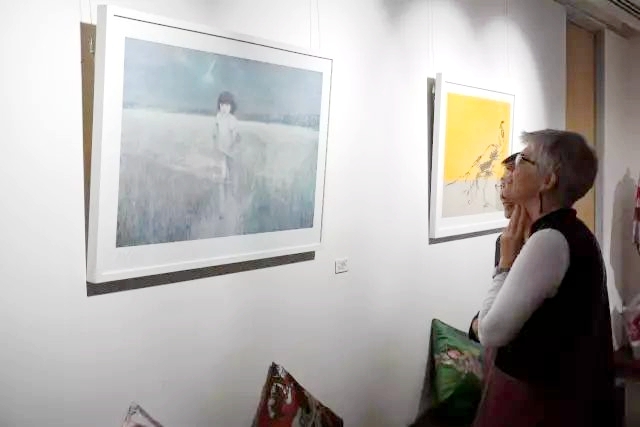 The exhibition, part of "Sichuan Culture Month" at the Centre, will run from 9 to 29 September. It features prints, lacquer ware, printed umbrellas and household decorative items in printed silk. In her opening remarks, Professor Chey welcomed the increased cultural contact between Sichuan and Australia. She said that real creativity arose from dedicated study of traditions and their development, while "island culture" denoted openness to outside influences. Australia, as the world's largest island, was open to exchanges with China and Asia. Sichuan held within its "island" a great variety of ethnic cultures and was bordered by many other provinces with different cultures, so both places had great prospects for creative work. Mme Zhao Li, the Director of the Centre, thanked Professor Chey for her remarks. Janet Clayton, Director of the Clayton Gallery, also spoke at the launch.